Thanks to a partnership between United Way of Muscatine, the Mississippi Bend AEA, the Community Partnerships for Protecting Children, and the Community Foundation of Greater Muscatine, the Imagination Library program is available to residents of Muscatine County. 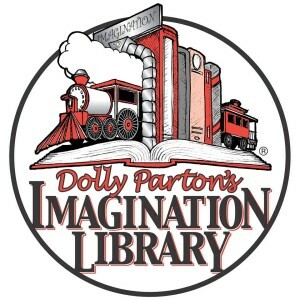 The Imagination Library of Muscatine County is a project designed to develop a love of reading, improve literacy skills, strengthen family relationships and increase school readiness among children ages 0-5. Each month, children are mailed an age appropriate book, from the time of their enrollment through their fifth birthday. This is provided at no cost to the family. By mailing high quality, age-appropriate books directly to homes, we will help improve childhood literacy and children will have accessibility to books regardless of their family’s income or situation. This proven successful program was established in 1996 by the Dolly Parton Foundation, who administers the program for a cost of approximately $25 per child per year. A downloadable registration form is available. A Spanish Brochure is available for download.